Are you worried about how to safely move out your grand piano during your transit? No wonder, you have invested so much in it. And one can have sentimental attachments with musical instruments too. What if the keys or pedals get damaged during the move? Here is a tip. The best way to ensure your piano gets safely moved out is to hire professional piano movers. A moving service can handle that job perfectly. They will come equipped with the tools necessary and will have the experience needed to carefully move your piano safely. 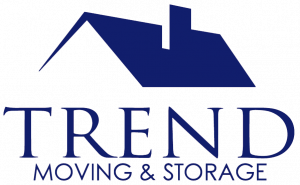 Read up some of the benefits of working with a moving service Hampstead NH. Most pianos are unlikely to fit through doors and around corners. A professional piano moving service will know how to take the instrument apart, transport the pieces safely, and also reassemble them. They will have special boards and dollies as well to move heavy objects without causing damage. When you try to move your piano yourself, it usually ends up damaging your property. It is not only the piano we are talking about. You might smash some precious items in your surroundings while causing harm to your musical instrument too. Pianos are usually heavy and the heaviest ones are too unsafe to move without help, especially when stairs are involved. You will put both you and your piano at risk by trying to move it yourself. A professional moving company will send the required number of workers to lift your instrument and move it without risking any damage. Yes, you do need a truck and padding to move out your piano without causing any damage to it. Professional movers will have the proper trucks and padding to safely transport your piano so. They will load it in such a way as to survive any road hazards or bumps along the way. The money you invest for the safety of your piano will depend on the size of your instrument and the location. However, mostly, the amount of assurance and quality service you get from seasoned movers is worth more than what you would spend risking damage on your own.